In the second match of the first double-header of PSL 2019, the Darren Sammy led Peshawar Zalmi take on the Quetta Gladiators in Dubai. Both teams head into the competition with high hopes and well-balanced squads, and also the presence of several T20 specialists. Traditionally one of the more successful teams of the PSL, Peshawar Zalmi will look to go one better after faltering at the last hurdle in the previous edition. Meanwhile, Quetta will be banking on their local players to strike first on Friday. With the pitch expected to be on the slower side, both teams will be wary of each other's medium pacers and slow bowlers as they go all out in Dubai. Peshawar have a good mix of experienced local players and talented overseas players, which has been evident in their past performances as well. Hasan Ali and Wahab Riaz are expected to shoulder a major chunk of the bowling responsibility while new signee, Imam-ul-Haq could possibly make his debut on Friday. Misbah-ul-Haq's arrival from Islamabad will add much needed tactical nous and stability in the middle order. One of Shoaib Maqsood or Umar Amin would have to make way for the veteran. Two of T20's best players in Shane Watson and Rilee Russouw will turn up for the Gladiators this season. And under the leadership of Sarfraz Ahmed, they will look to go the full distance this year. Sunil Narine will not be available due to an injury, and Max Waller has been called up as cover. Ahmed Shehzad and Shane Watson should open the batting with the likes of Umar Akmal and Rilee Rossouw to follow. Possible XI: Watson, Shehzad, Dwayne Smith, Rossouw, Umar Akmal, Sarfraz, Nawaz, Tanvir, Anwar Ali, Fawad and Ashgar. Wicket-keeper: Kamran Akmal is the highest run-getter in the tournament's history and would be an ideal selection for your fantasy team. Sarfraz Ahmed is also a great option to go with but considering his lowly batting position, Akmal should get the nod over the Pakistani captain. Batsmen: Rilee Rossouw recently topped the charts in the BPL 2019 tournament; he is in sparkling form. Rossouw as well as Dawid Malan would be reliable players to have in the team. Along with the aforementioned duo, the likes of Shane Watson, Ahmed Shehzad and Misbah-ul-Haq would also make for great picks. While Misbah-ul-Haq could be rusty due to a lack of recent play, Shoaib Maqsood can fill in for him. All-rounders: Mohammed Nawaz and Liam Dawson are more than capable all-rounders, with their batting ability beautifully complementing their left-arm spin. Bowlers: Hasan Ali and Anwar Ali are products of the PSL itself and should be backed in the first match of the season. Along with them, the trio of Tanvir, Wahab and Umaid Asif would be sufficient in rounding off the fantasy team. Captain: Rilee Rossouw's has been in irresistible form, with the southpaw starring for the Rangpur Riders in the BPL. He would be a good choice for captain, although the likes of Dawid Malan, Mohammed Nawaz and Shane Watson could also be considered. 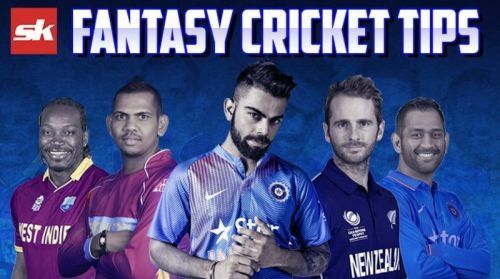 Fantasy Suggestion #1: Kamran Akmal (WK), Rilee Rossouw, Dawid Malan, Ahmed Shehzad, Shoaib Maqsood, Mohammed Nawaz, Liam Dawson, Hasan Ali, Wahab Riaz, Anwar Ali and Sohail Tanvir. Captain: Rilee Rossouw. Follow Sportskeeda for more Fantasy Cricket Tips, Cricket News, Live Scores, Playing XI Updates & Stats.